Master Tong’s Martial Arts has been open for 25 excellent years. With over 35 years of experience in HUP Kwon DO it’s no wonder why we are looking forward to another 25 years of educating individuals on the benefits of Martial Arts. We are now also offering new and exciting classes! Senior Self Defense Classes in Shelby Twp. Aikido classes in Shelby Twp. Master Tong’s teaches a comprehensive self-defense system call HUP KWON DO (Integrated Martial Art System). HKD incorporates practical techniques from many of the Eastern Martial Arts for anyone to effectively defend themselves in any situation. This comprehensive system of self-defense builds the students foundation in skills of striking, kicking, locks and takedowns. 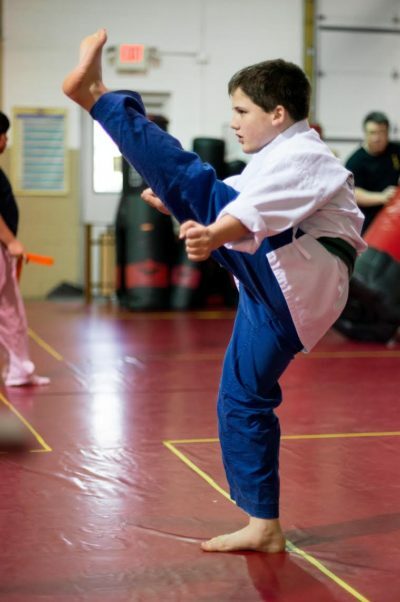 With proper guidance and consistent practice, students of HKD will gain confidence knowing they have the power and skills to fend off any attacker! At Master Tong’s you will receive the best level of instruction in a family-friendly manner. Founder, Master Ken Tong is a 7th-degree Black Belt with over 28 years of experience in teaching martial arts. Our school is sanctioned by the World Council of Professional Martial Artists. If you are new to the martial art world and is searching for the right school to attend, it can be very confusing trying to sort through the numerous schools available. We offer free consultation and even a free class to see if we are a good fit for you. So before you make a decision to join any martial art school, contact us first and see why we have been in business for over 24 years. We have your best interest at heart! We do not believe in hard sales tactics. We want you to feel confident in our teachings before you join us. It’s hump day! Who is ringing in the rest of the week by training with us tonight?!? Train in style with customer Master Tong's Martial Arts Merchandise and apparel. Get yours today!